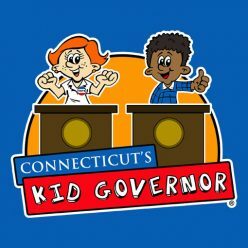 The following students were elected by their classmates as their school’s nominee in the 2018 Statewide Election for Connecticut’s Kid Governor®. We congratulate these students on crafting strong platforms around important community issues and encourage them to continue advocating for change in their communities. Is your student working on their community issue? Share their work with us by emailing info@kidgovernor.org.